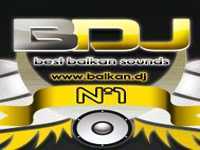 Balkan Dj Radio live broadcasting from Bosnian. Balkan Dj Radio station mostly time play folk music. Balkan Dj Radio also play 24hours various kind of folk music genres. “Modern” folk was referred to as “novokomponovana narodna muzika” (“newcomposed music”) for a while, although the term went out of use in favor of simply “narodna” or “folk”. It is based on various influences, sevdah stories with music of Serbia and/or Turkey often with incorporated elements of pop music. During the time of former Yugoslavia, the genre developed jointly in Bosnia and Serbia, and performers from both sides of today’s borders still enjoy certain popularity on the other side.Like the surrounding Balkan countries, Bosnia and Herzegovina has had a turbulent past marked by frequent foreign invasions and occupation. As a result, Bosnian music is now a mixture of the national Slavic folklore with some Turkish influences along with influences from the western part of the world.Rural folk traditions in Bosnia and Herzegovina include the shouted, polyphonic ganga and “ravne pjesme” (flat song) styles, as well as instruments like a droneless bagpipe, wooden flute and šargija. The gusle, an instrument found throughout the Balkans, is also used to accompany ancient Slavic epic poems. There are also Bosnian folk songs in Ladino, derived from the area’s Jewish population.